Why Blackberry is a dead product – The six-hour support phone call. 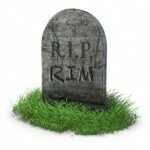 Lack of efficient and timely support by RIM is the number one reason why the Blackberry Smartphone is soon to be a completely dead product. Today, I spent over six hours on the phone with Blackberry support simply to get an AT&T 9810 Torch Blackberry to sync contacts using the Blackberry Cloud Services for Microsoft Office365. Unconscionable. What was so incredibly frustrating was the endless trial and error solutions being suggested, each followed with the support technician saying, “Well, that should have worked.” This is the manufacturer of the device fumbling around and guessing instead of instilling confidence with proper diagnostic procedures and tested solutions. The Blackberry platform has always had a myriad of quirks. I have always been amazed at the willingness of people to accept sub-par quality in technology, specifically software. If your dishwasher was as finicky as Blackberry devices, GE would be out of business. Love or hate the Steve Job’s “Walled Garden”, Apple products work as advertised and provide a superlative user experience. Blackberry too lives in a completely proprietary closed loop and yet cannot even begin to approach that which has been accomplished by Apple. 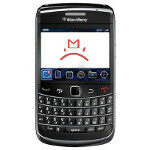 How does RIM run a business and more importantly, how can anyone else run a business with Blackberry technology that lacks hard fast solutions to resolve technical issues? When Blackberry was the leading edge, we accepted these issues as part of being “early adopters.” When you compare the near seamless connectivity experience and stability with an Apple IOS device or even an Android device to Microsoft Exchange, the fact that the Blackberry platform is still so susceptible to significant connectivity synchronization issues is borderline criminal. To be fair, the Blackberry support technician completely understood the problem and to RIM’s credit was a USA based employee on the East Coast with English as a first language. Unfortunately, there was no higher level of support engineer available without submitting extensive log files from the device and awaiting a call back. My only option was to muddle through with the current support engineer. Eventually, we were able to get the Microsoft Exchange contacts to sync but there was still an issue with the Google Calendar that remained unresolved. Seems that the Blackberry 9810 will not remember the Calendar view selection. The client wanted to see just the default Microsoft Exchange Calendar and only view the Google Calendar when specifically selected. We were not able to remove the Google Calendar view – no matter what – until we physically deleted the capability of the Blackberry 9810 to display it. This is a short term fix pending the resolution from the next level of support at RIM. As a Consultant, there is no possible way I can bill my client full rate for six hours on the phone with Blackberry support. Nor can I bill the additional one to two hours of follow-up time with the higher level Blackberry support engineer that will call me back after reviewing the log files and case notes from the initial support call. If I had known and was able to tell my client in advance that this service call would take six to eight hours and cost as much as two iPhones, I am certain they would have tossed the Blackberry in the trash and headed to the Apple store or out to get a top-of-the-line Android Smartphone. And therein lies the issue: In the five years of the iPhone’s existence (see my article, Apple iPhone turns 5 – A Proven Formula for Success Copied), and the approximate three years of Android, I have NEVER had a support call for one of those devices last more than one to two hours. With Blackberry, the minimum support call is never less than two hours and, as you can see from today’s experience, usually much longer. There is no reason to believe that RIM will change any of its’ current policies or the way in which it fails to deliver an acceptable support experience. Entrenched in a mindset that is over a decade in the making, even if Blackberry 10 is evolutionary as a Smartphone platform, RIM will be unlikely to ever meet the expectations of the overall customer experience as set by the competition.